==> Select the phonebook you want to export, then click on the "download" button. ==> Save the file to your computer or anywhere you want. 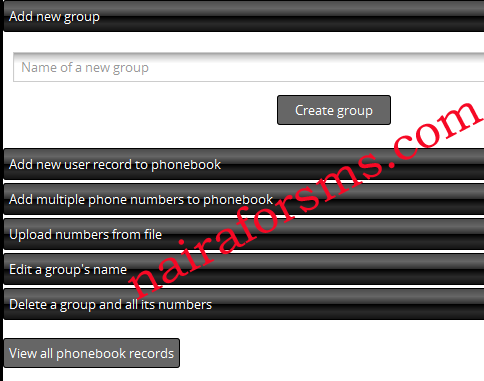 ==> Open the saved file and ensure the phone numbers are in the format 23480123456789 or 080123456789. If it is in the 80123456789 format, please add the leading 0 to the numbers and save.